This is a professional photo, so yours likely won’t be this perfect. But you’ll love it anyway. Yayoi Kusama (Japanese, born 1929), Aftermath of Obliteration of Eternity, 2009, wood, mirrors, plastic, acrylic, LEDs, glass, and aluminum. Collection of the artist. Courtesy of Ota Fine Arts, Tokyo/Singapore; Victoria Miro, London; David Zwirner, New York. © Yayoi Kusama. Photograph by Cathy Carver. If you’ve been conscious and have had an Instagram account anytime in the past two years, you’ve probably heard of Infinity Mirrors. 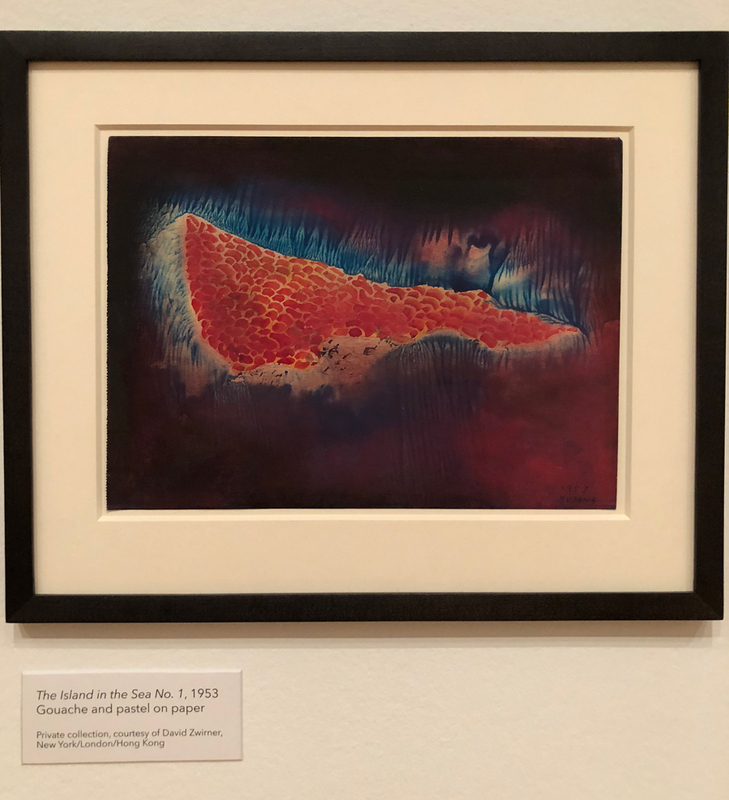 The art exhibition, which showcases the art of 89-year-old Japanese artist Yayoi Kusama, has drawn sold-out crowds since it debuted at Washington D.C.’s Hirshhorn Museum and Sculpture Garden in 2017. 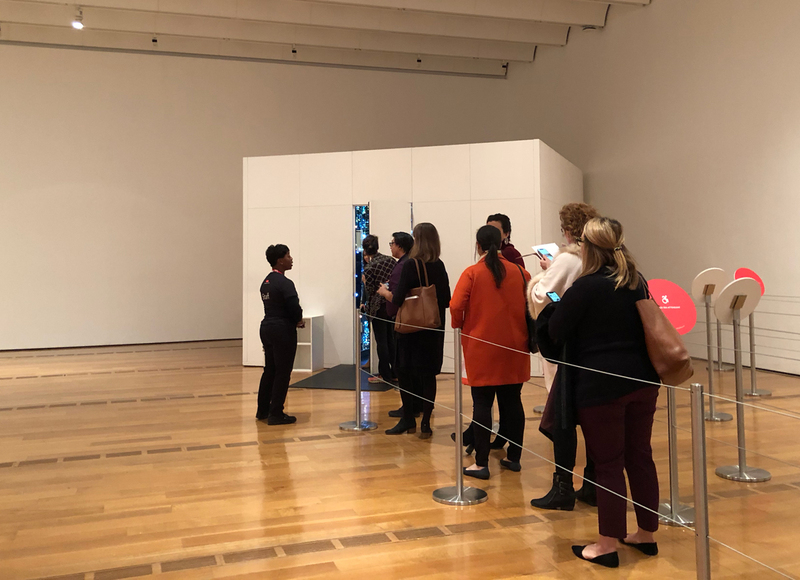 Atlanta was no exception—after a member pre-sale, the tickets for the exhibition’s three-month run at the High Museum of Art sold out. 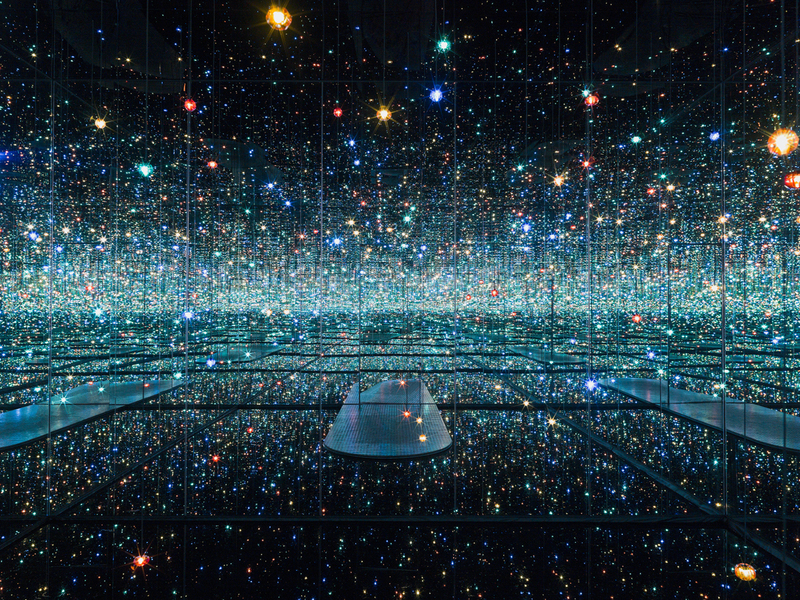 Yayoi Kusama (Japanese, born 1929), Infinity Mirrored Room—The Souls of Millions of Light Years Away, 2013, wood, metal, mirrors, plastic, acrylic, rubber, LEDs, and water. Courtesy of David Zwirner, New York. 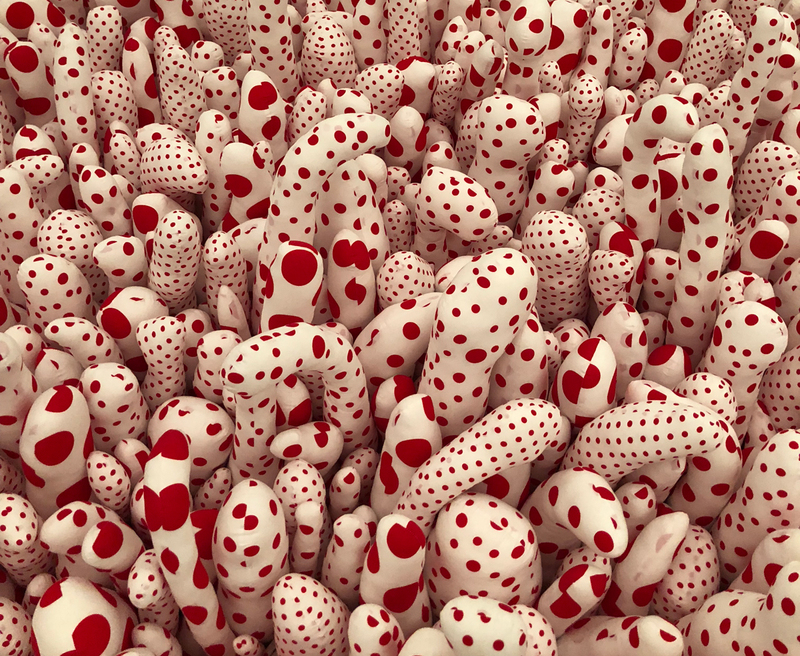 © Yayoi Kusama. Courtesy of the Hirshhorn Museum and Sculpture Garden, Smithsonian Institution, Washington, D.C. Believe it or not, photo above this one takes place inside this unassuming box. Perhaps the biggest question that has followed what has been called the “Hamilton of the art world” was simply, is it worth the hype? That’s pretty much impossible to answer, as the definition of “worth it” varies so much person to person. But here are a few things I learned when I attended the media preview on November 15. 1. Know ahead of time what you want to do with your phone. 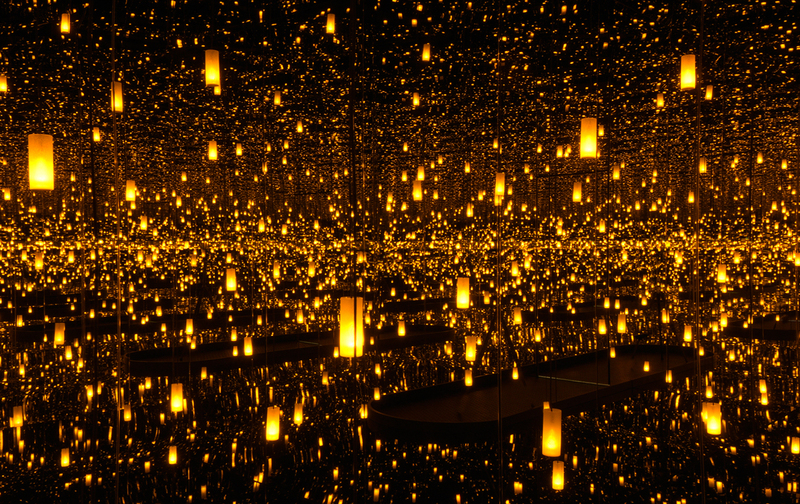 You should leave your phone in your pocket while you experience Kusama’s Infinity Rooms. You won’t, but you should. For those that want to want to try the phoneless experience, I highly recommend leaving it at home or in the cubbies outside each mirrored room meant for bags and coats. It becomes far too tempting to give into the desire for that perfect photo otherwise. That said, no shame if you do want to snap that perfect selfie—the rooms are pretty stunning. Video is also great for the rooms with flashing lights—showstoppers “The Souls of Millions of Light Years Away” and “Aftermath of Obliteration of Eternity.” But if you wanted the perfect selfie in the pumpkin room (“All the Eternal Love I have for the Pumpkins”), you’re out of luck—it’s the only one of the seven rooms with no photography allowed. 2. 20-30 seconds is not a lot of time. And that’s all you get in these rooms, per the request of Kusama herself. (Not to mention, can you imagine how awful the crowds would be if they didn’t keep a strict time limit?) But it does not give you much time to take everything in. If you want a photo but it’s not that important to you, snap a couple quickly and then try to just immerse yourself in the experience. If you have the option to go in alone, it’s nice to have the space to yourself. Be sure to spin around on the platform and look at each room from all angles, including the floor and ceiling. “Love Forever,” the fourth room, is the only one that you can’t actually walk inside. Instead, this mirror-lined box has two square windows for you to poke your head into and watch the dazzling light show that takes place inside, with thousands of carnival-esque lights blinking in varied colorful patterns. A friend can take a photo of you through the opposing window, as it’s pretty difficult to capture a photo of yourself should you want one. Video is also a great asset here if you want to share the light show with others. Just don’t drop your phone in the box. These sculptures have a color scheme and patterns similar to the famous pumpkins. 4. Don’t skip reading the notes and descriptions throughout the exhibition. 5. There’s so much more to Kusama than the Infinity Rooms. 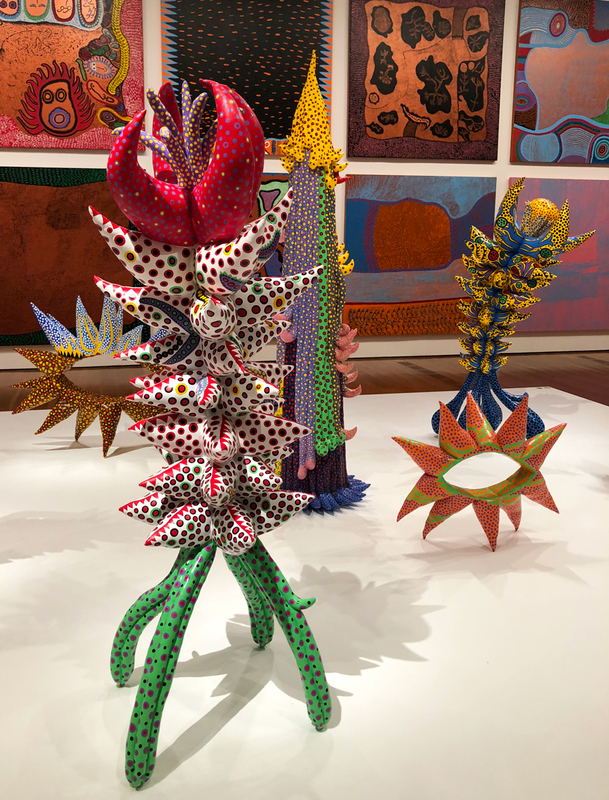 Kusama will likely always be known for the mirrored rooms, but the exhibition does a good job at showing off her other talents. 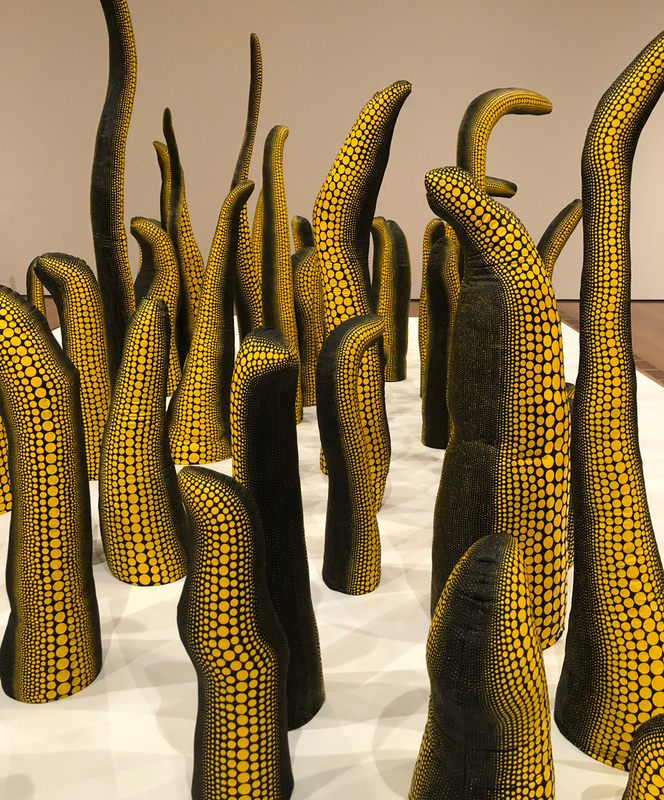 Her soft sculptures are displayed throughout—a grouping of colorful ones will likely be the first things your eyes land on when you enter the exhibition hall, and a field of yellow and black tentacle-like objects steal the show later on. Her paintings and their meticulous patterns are eye-catching. The collages she created in the 1970s as a tribute to a friend who had died are haunting and beautiful. I can’t stress enough—read everything. Kusama’s story is endlessly interesting. A.K.A. 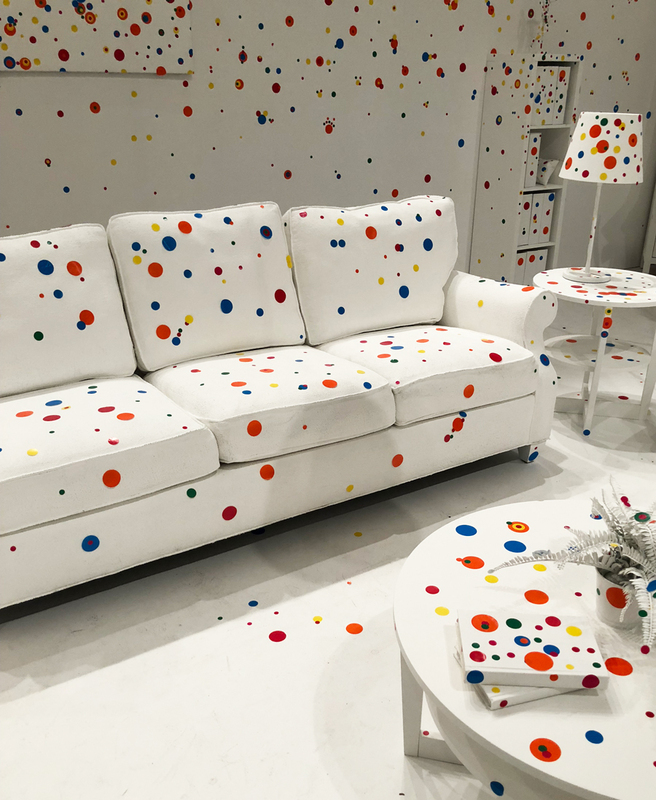 the seventh and final room, where you’re handed a sheet of polka dot stickers to place wherever you see fit in the once-white living room. Stick them on the floor, on the palm tree in the corner, on the keys of the keyboard, or around the cable that hangs the lamp from the ceiling. During the media preview, the amount of dots in this room were pretty tame, but by the time the exhibition ends in February, white space will be a rare commodity. You won’t see this much white space in this room for long. 7. The polka dot socks might be the cutest thing in the gift shop. Although the pumpkin onesies and enamel pins featuring a cartoon Kusama give them a pretty good run for their money. Want to go but didn’t get tickets? 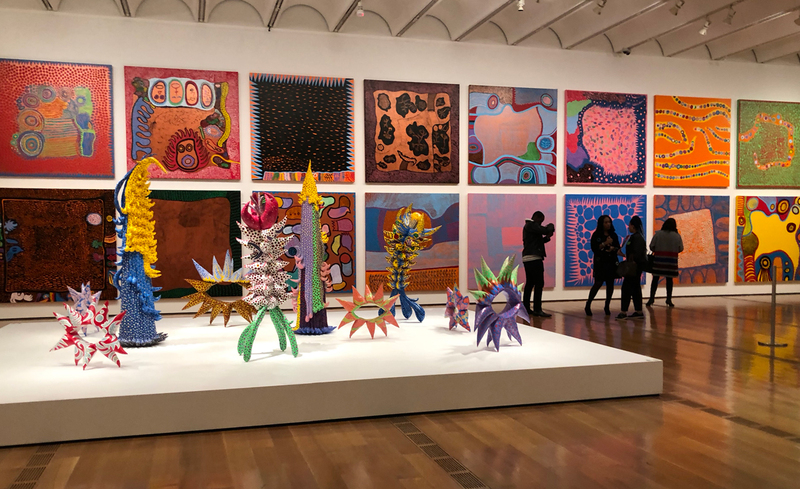 The High will give out 100 first-come, first-serve tickets during each day of the exhibition, so arrive extra early to stand in line and hope to get lucky. You have three months worth of chances.